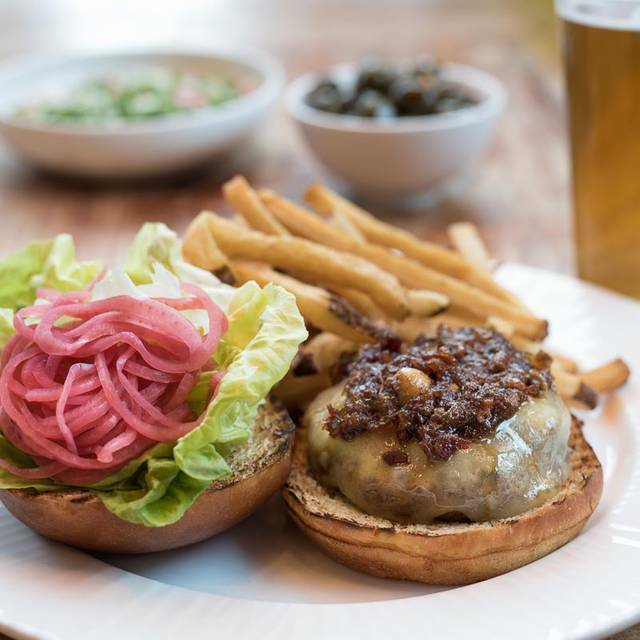 Allium Restaurant + Bar serves casual contemporary American cuisine highlighting the best of the season in support of independent farmers and artisan producers using sustainable practices. 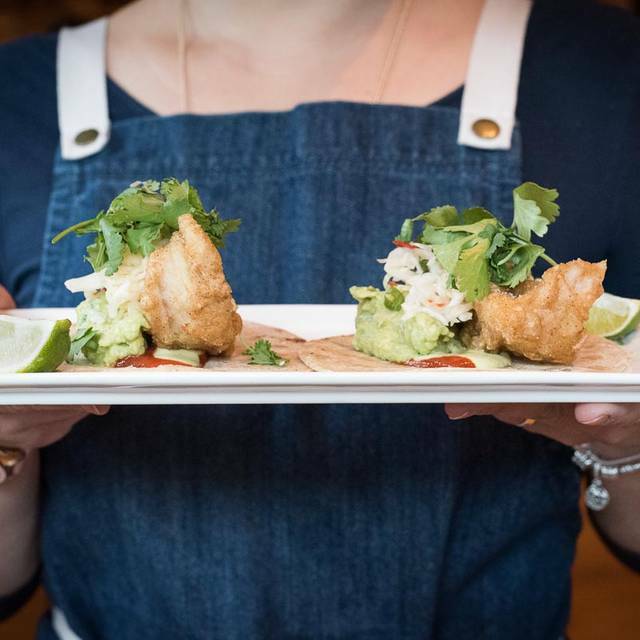 Our chef sources local ingredients for a changing menu, paired alongside small-batch microbrews, local spirits and small-production wines. 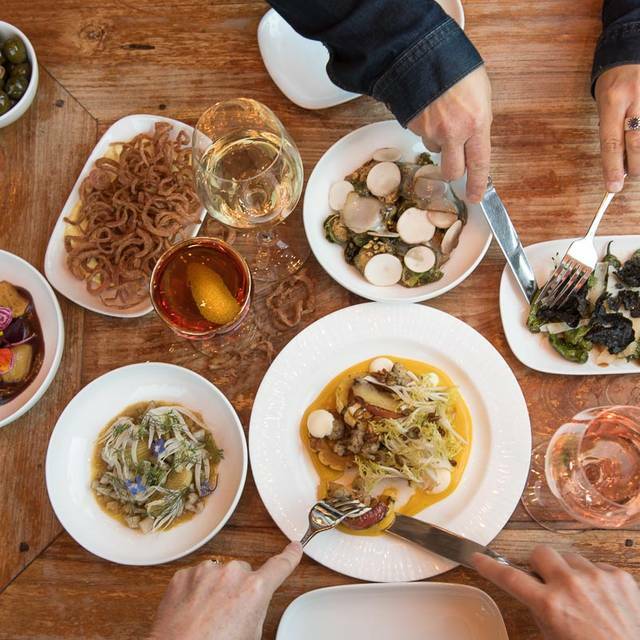 In addition to recognition as Boston Magazine’s Best New Restaurant, Allium has been granted an Editors’ Choice award in Yankee Magazine’s Travel Guide to New England. All major credit cards are accepted. Located in downtown Great Barrington, Allium is a member of Slow Food of Western MA and Berkshire Grown. The full-service restaurant is part of Mezze Restaurant Group which includes Mezze Bistro + Bar of Williamstown and Mezze Catering + Events, providing full-service event design and planning. We specialize in farm-to-table modern American cuisine. We would be happy to individualize your event using local products. Parking is available on Railroad Street, at the end of Railroad Street in a municipal lot and in the parking lot behind the restaurant. During peak season and on weekends, parking may be challenging so be sure to allow enough time to find a space. For public transportation within Berkshire county, contact Berkshire Regional Transportation Authority (BRTA) at (413) 499-2782 or (800) 292-2782. Great Barrington is also served by Peter Pan Bus (800-343-9999) and Bonanza Bus (800-343-9999) companies. Excellent spot for a nice meal on a cold winter night. Burgers are great!! Sad to hear it is closing. It has been a wonderful place for so many years. Thank you. A nice menu with vegetarian options. A very cool place, good music and not overly packed with tables. Lively atmosphere while still being able to hear folks at your own table. Close to the theater. 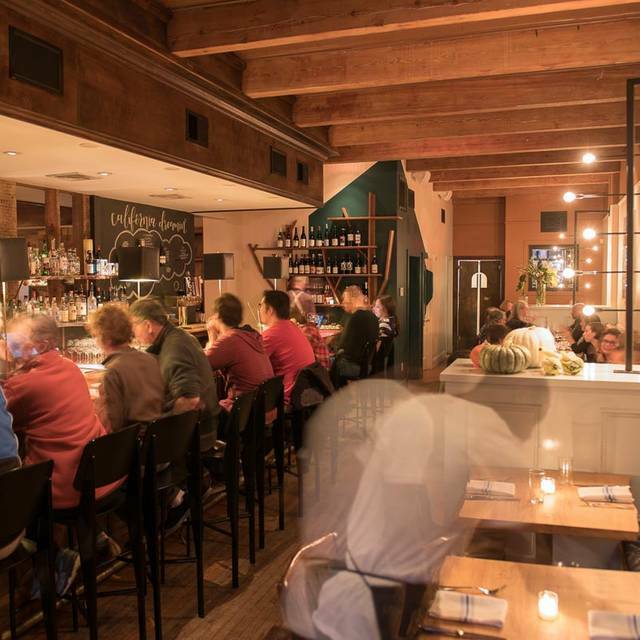 We stay in Barrington two or three times a year and usually dine at allium. While it is consistently enjoyable, a bit more variation in the menu would be a plus. Unfortunately closing January 1, 2019. We'll definitely miss this place. Really like Allium. Went before the movies and had a really nice meal. Great service. The salmon was delicious as was the burger. Best were the fried chickpeas!!!! Always a good choice. This is a truly fantastic restaurant but they have decided to close. It is a true loss for everyone in the area and those who came to visit. We had a wonderful dining experience at Allium and found the atmosphere to be warm and inviting. The Housemade Ricotta Gnocchi with Butternut squash is superb and highly recommended. I also enjoyed the Heirloom Chicory Salad with Middlebury Blue Cheese; a wonderful and surprising blend of flavors; really delicious. The Roasted Carrots and Fried Brussels sprouts were both completely unique and mouthwatering and the table loved them. Food was great but our waiter paid NO attention to us at all. Good food and adequate noise level. Overall very good. Waiter was extremely knowledgeable about the menu. Allium has more vegetarian/vegan options than most restaurants in the Berkshires but they all need to improve in this area. I had early dinner at the Allium (a Saturday night) and it was beyond expectation. Started with a perfect Manhattan straight up. I did not have an appetizer, but they did sound very good. For entrée I had the strip steak with Hen of the Woods mushrooms, caramelized sweet onions and thinly sliced potato (Millefeuille?). I did not have a dessert but did order coffee - they came out with an enormous pot of coffee, no doubt freshly brewed. The steak was medium rare (I ordered rare), but still very tasty and pink through the center. The mushrooms, caramelized onion and unique potatoes were a perfect accompaniment to the steak. My friend and I were there for nearly two hours and there was no effort to hurry us. The young man who was our waiter was helpful and patient. In all, a delightful dining experience. Warm, welcoming and cozy with delicious food. We love this place. Good tapas choices. Also. There is tasty vegetarian dishes. It was crowded, but we were seated quickly We have eaten there many times and have never had a bad meal. If you are a steak and potatoes person, go elsewhere. Wonderful restaurant. Looking for a place for dinner before going to a show at the Mahaiwe, and tried Allium for the first time. The restaurant I've gone to for years when in the area didn't accept reservations, so took a chance with Allium and I'm so very glad I did! Great service!! Very welcoming. Not a large menu, but some very enticing offers. The range of prices made Allium very reasonable. I highly recommend you give it a try! Our dinner was great. Obviously fresh. Staff member recommended Hen of the Woods and it was fabulous. A foodie delight. Good drinks, nice atmosphere and creative cuisine. A great experience. We were seated before our reservation, which is a big plus for me. The cocktail list was refined and interesting, with subtle twists on old standards. The food was amazing. The roasted chicken was fall-off-the-bone tender, not overcooked in the least. The allium burger was just incredible. I would highly recommend this establishment. Food never disappoints; creative, delicious and well-prepared. Small and large plates allow you to put together a meal that fits your appetite. 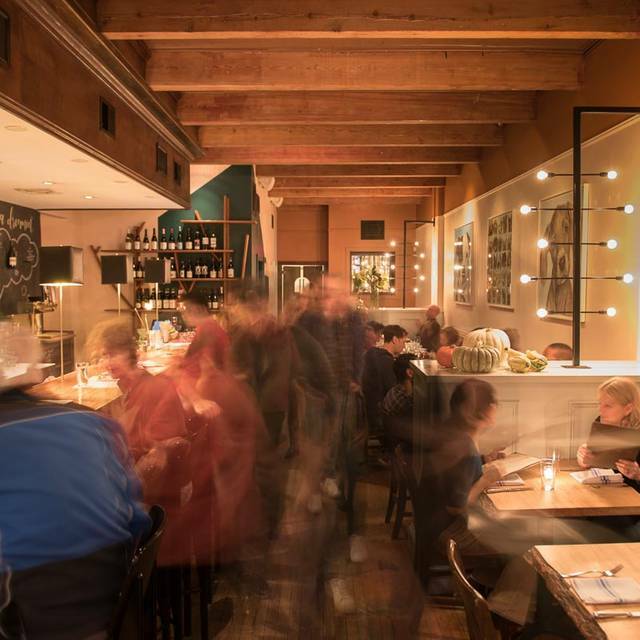 Though generally a fun, casual vibe and attentive service, it was crowded and understaffed the night we went, and pacing of the meal was a bit disorganized. Drinks and different courses came to the table when they were ready rather than in order, and it detracted to some extent from the usually nice experience. Sat at the bar. Great food and drinks. Bartender and servers were great with awesome host/hostess. Would go again. Very pleasant atmosphere and nice service. The food was quite good and the server allowed one of us to taste several beers before choosing one. Very impressed with the food. Salads and Hangar steak entrees were delicious. Service was great even though the place was busy on a Saturday night. Great wine recommendation from the server. The entrees are limited but the portions were good. The food was really amazing - we got the hen of the wood mushrooms and the ragu was great too. The service was awful though. I felt like our waiter thought we were a burden and didn’t come over to us at all unless we flagged him down. The food was so good but I was really disappointed with the service. Our meals were average in quality and interest. Nothing stood out as indicating there was any out of the ordinary talent in the kitchen. The menu boasts of locally sourced ingredients, but there is minimal evidence. Why bother when there are better options? Jason was a great server from first to last! My trout was cooked to perfection. Shared Hen of the woods was delicious. Hangar steak and burger were great. List of wines by the glass was disappointing but my Cab Franc was a good selection. A quirky menu and somewhat limited as well but it works. This was our second time there but I am sure there will be more. Great service and atmosphere. The menu seemed a little limiting at first but our salad and entrees were excellent. Local and fresh ingredients along with great wine selection by the glass - great local find! Wonderful food! One of the best preparations of trout I remember ever having. Wife’s hanger steak was delicious. Good wine selection. Tasty dessert. Prices reasonable for the quality. Easy reservations on OpenTable. Street parking okay (had to go around the block once.) Attentive service. A lovely evening! My husband and I loved the food! 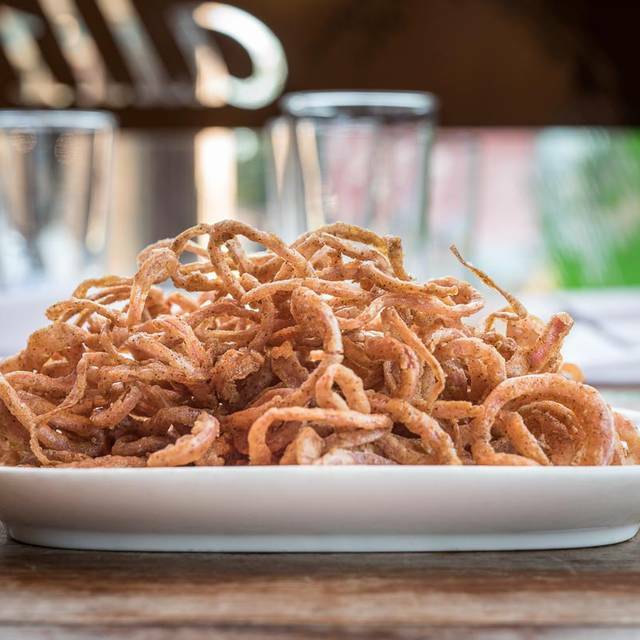 Crispy fried pickled onion rings were a total treat. Kale salad one of the best I’ve had. My cocktail was delicious as well. We both ordered hanger steak. It was good but the glitch was the server described the sauce incorrectly, we selected the dish on that basis, she kindly informed us of the mistake and the new sauce was not appealing. Also, we had hoped for horseradish and the kitchen had none. Still good, but not as great. Picked this restaurant because I had read it was farm to table. Food was fresh and delicious. Kale salad was amazing. Loved the options of small plates so my husband and I could share and taste more options on the menu. Jason was our server and was so friendly and made some good suggestions which we enjoyed. Great Barrington is such a quaint town and Allium adds to a wonderful afternoon experience. Thank you! Our pasta dish was dry and had no flavor. An odd vegetable in the dish which we were told was like broccoli looked something like spinach leaves with no florets or flavor. Enoyed meal very much. Waiter was excellent. He made several alternative suggestions to what we were going to order, which worked out to our benefit. Only one veg entree option. Service was a little slow although a very busy night. The dining room was extremely loud and hard to enjoy a civilized conversation. Was not a great experience. Not for lack of effort though. It was clear the staff truly cared and were very pleasant.